I don’t know what I expected from One Tribe ‘Rum and Orange’ Beard Balm, before I used it I suddenly realised that I didn’t know what a Rum scent was like. Of course we know what the flavoured rums smell like, the spiced rums, and Rums that are infused with flavours of fruits, such as banana, mango, orange, pineapple, coconut, starfruit or lime, but what about plain old Rum? 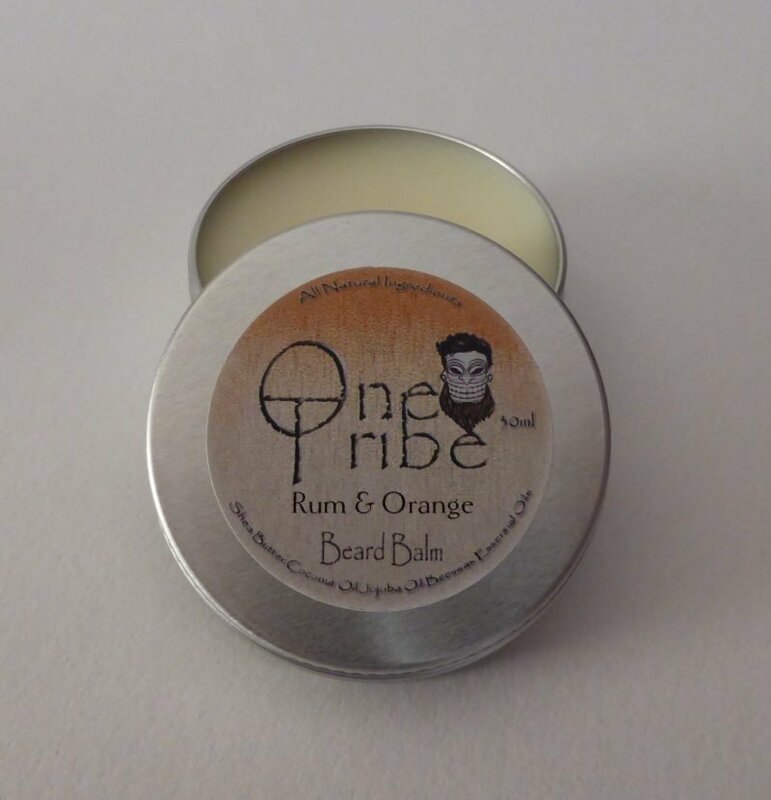 One Tribe ‘Rum and Orange’ Beard Balm has a soft consistency that is getting close to a Beard Butter, so it’s very easy to scoop some out of the tin and it quickly melts in your palms and is ready to rub into your beard within seconds. The scent is initially a sweet Orange and sitting in the background are gentle notes of Rum, now I know it’s a Rum scent as I recognise it but for the life of me I can’t describe it, except to say its Rum! The balm worked very easily into my beard and I have to say that my beard felt damn good. Of course because it is a softer style balm, my beard was left feeling very natural if that makes sense? There was a very slight hold but not enough to give the beard that set like feeling and I found myself stroking my beard even more than I usually do, which is a lot!!!! I have already had a lot of guys showing an interest in this balm and I can tell them that I love it, I did expect that classic spice scent and an almost pirate like scent that is so popular but One Tribe Beard Balms have steered away from the usual and delivered an incredible product.